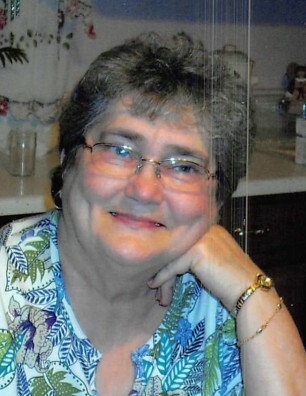 Mrs. Judy Magness Putman, age 78 of Huntsville, passed away Monday, January 28, 2019. She was born July 2, 1940 to John Edward Carmack Magness and Grace Hettie Dowell Magness in Huntsville, AL. She was a very devoted wife, mother and grandmother and loved God and being in church. Mrs. Putman was a longtime member of Mayfair Church of Christ where she helped establish the Tuesday "Girl's Club" at the Scrugg's Center for the inner city work. She was retired from Huntsville City Schools and after retirement she helped tutor grade school children for several years. She was also in a group called "Stampin Up" where she enjoyed making handmade cards for all occasions and was very artistic. Mrs. Putman is survived by her husband of 28 years, William Melvin Putman; daughter, Donna Parsons Bennett; son, Robert Allen Parsons; step-son, William David Putman (wife Tammy); grandchildren, Steven Dustin Bennett (wife Katherine) and Rachel Ann Lackey (husband Cody); step-grandchildren, Brittney Lee Miller and Taylor Breanna Putman; great grandchilren: Grayson Reid Bennett, Grant Foster Bennett, Madison "Maddie" Paige Fanning, Hannah Grave Parsons and Johnathon Walter Ray Lackey; niece, Gayle Bryant Cothren (husband Greg) and a host of great nieces and great nephews. She was preceded in death by the infant sons and her sister, Joyce Magness Bryant. The family will receive friends Thursday, January 31, 2019 from 5:00 pm until 8:00 pm at Spry Funeral Home. Funeral Service will be held Friday, February 1, 2019 at 1:00 pm at Spry Funeral Home with Jason Bybee officiating. Interment will be in Rice Cemetery.